Due to be released September 26, 2017. 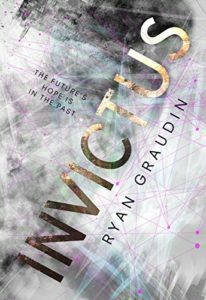 Imagine Guardians of the Galaxy meets Doctor Who, and you have Farway Gaius McCarthy and his band of misfits scavenging for priceless artifacts throughout time aboard their ship, Invictus. From the Titanic to the Library of Alexandria, Far and his friends steal precious items for clients until things begin to go wrong. Far was born outside of time. His mother gave birth to him on board the ship while they were traveling between Ancient Rome and 2354 A.D. As a result, it created a disastrous ripple effect in the universe. The universe now needs to set things straight, even if that includes destroying all traces of Farway in every dimension he exists. An excellent read and incredible adventure worth following as Far and his friends travel through time together, trying to escape being erased from existence.